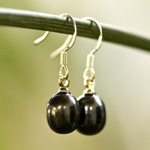 Cultured freshwater pearls and sterling silver form a lovely pair of earrings. 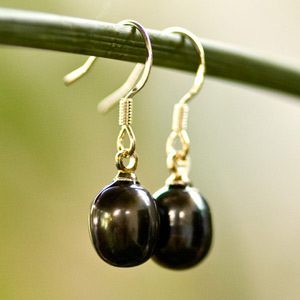 Jewelry artisan Ying crafts them by hand and hangs them from stainless steel hooks. Materials: Cultured freshwater pearls and sterling silver (.925).